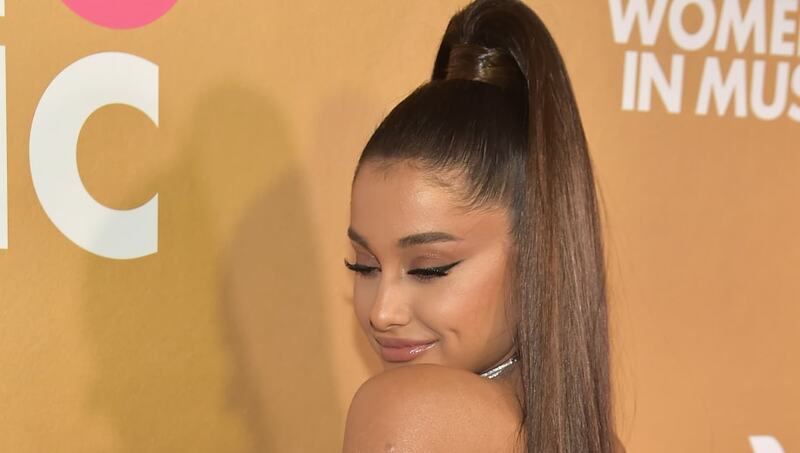 Ariana Grande will never say "thank u, next" to success. Unsurprisingly, Ariana is still seeing impressive numbers and even breaking records with her latest album, Thank U, Next, which debuted this past February. And now, if you add her 2014 album My Everything, along with her 2016 album Dangerous Woman into the mix, Ari has become the first and only woman to surpass two billion streams on Spotify with three albums. Are you even surprised though? And per usual, Ari is still shocked by all the major milestones. When Twitter account @ChartData announced the latest news, the 25-year-old pop star had a simple reaction: "the f**k is going on." Fans are of course ecstatic about the news, which only gives them another mission: Get Ari's 2018 album Sweetener past two billion streams as well. According to many on Twitter discussing, the album is almost there, so we wouldn't be surprised if Ari hits four albums soon. it’s at 1.9b omg. it’s coming? Ariana and her stans have a lot to be celebratory about!